Black was born on April 16, 1728, in Bordeaux, France. 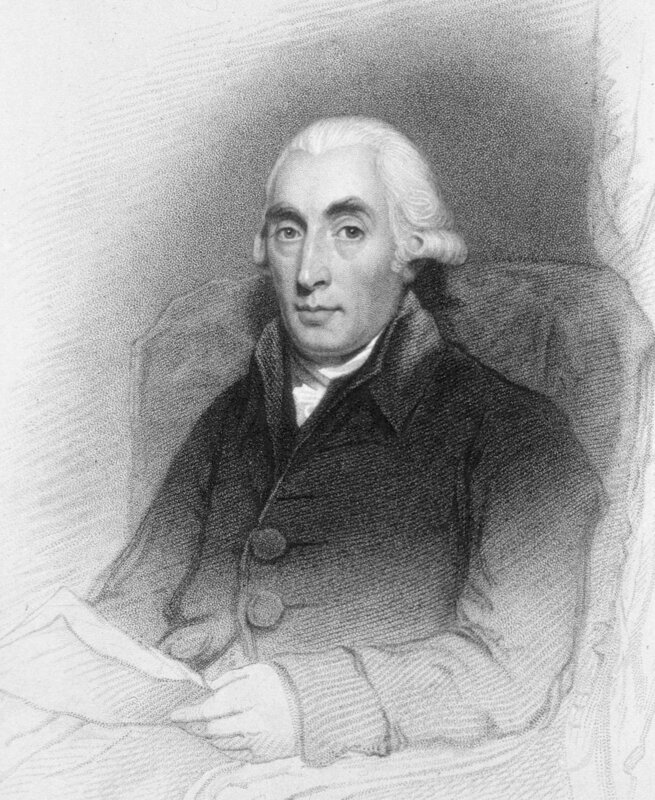 He studied anatomy and medicine at the University of Glasgow, and he received a medical degree from the University of Edinburgh in 1754. Two years later he became professor of chemistry and anatomy at Glasgow. Black’s doctoral work, published in 1756, concerned his investigations of carbon dioxide, which he called “fixed air.” He heated limestone, which yielded quicklime and carbon dioxide. Adding water to the quicklime and boiling the mixture with potassium carbonate, he recovered the original weight of limestone. He thus demonstrated that gases could be studied in combination with other chemical substances and that such experiments could be analyzed quantitatively. These and subsequent experiments showed that carbon dioxide acts as an acid, is produced during respiration, and is present in the atmosphere. Around 1760 Black’s research turned to the physical study of heat. He noted that when equal weights of mercury and water were heated over the same flame, the temperature of the mercury rose twice as fast as that of the water. This challenged the assumption that heat fills all substances equally. The experiment showed that substances have differing capacities to capture and hold heat. He called this property heat capacity. Black died on November 10, 1799, in Edinburgh, Scotland. Black’s discoveries of latent heat and heat capacity helped JAMES WATT to revolutionize steam power, and his experiments with carbon dioxide moved gases from the realm of mystery to that of quantitatively understandable chemicals. In the 1760s, while attempting to improve a single ­cylinder Newcomen steam engine, Watt became stuck at a problem involving heat transfer. He had designed an engine with a second cylinder for the condensation of steam. The steam was to be condensed by surrounding this cylinder with cold water. As the heat from the steam warmed the surrounding water, the warm water had to be replaced with cold. Watt wondered how much heat the steam needed to lose to condense and thus how much cold water would be needed to absorb this heat with each stroke of the engine. After discussing the principles of latent heat with Black, Watt performed experiments to determine the latent heat of steam condensation—precisely the information he sought. Armed with experimental data, he completed the design of his steam engine in 1765. Black’s work on carbon dioxide led scientists to study other gases. He inspired HENRY CAVENDISH, in the 1760s, to become the first to study hydrogen in depth and report on its properties, and he encouraged the experiments of his student Daniel Rutherford, who discovered nitrogen in 1772. Black’s work also provided the first hint that air is a mixture of chemicals rather than a single element. Black’s discovery of heat capacity enabled researchers to quantify different substances’ heat capacities. In 1871 Portuguese scientist J. H. de Magellan coined the term “specific heat’ to refer to a particular substance’s heat capacity. It is now known as specific heat capacity, the amount of heat required to raise one gram of a substance by one degree Celsius at constant pressure. Substances with higher specific heat capacities, such as water, can absorb or give off large amounts of heat while undergoing a relatively small change in temperature. Specific heat capacity is an important factor in calculating the results of chemical reactions involved in research and numerous industrial proceedings.